Butler Ranch Estates is a short drive from the heart of Dripping Springs, where residents can find multiple retail and dining options. Outdoor lovers will enjoy walking the trails at Charro Ranch Park or challenging their friends to sports at the Sports and Recreation Park. Locals often frequent The Salt Lick nearby for its legendary barbecue. Butler Ranch Estates combines quiet living just a short drive from convenient city amenities. 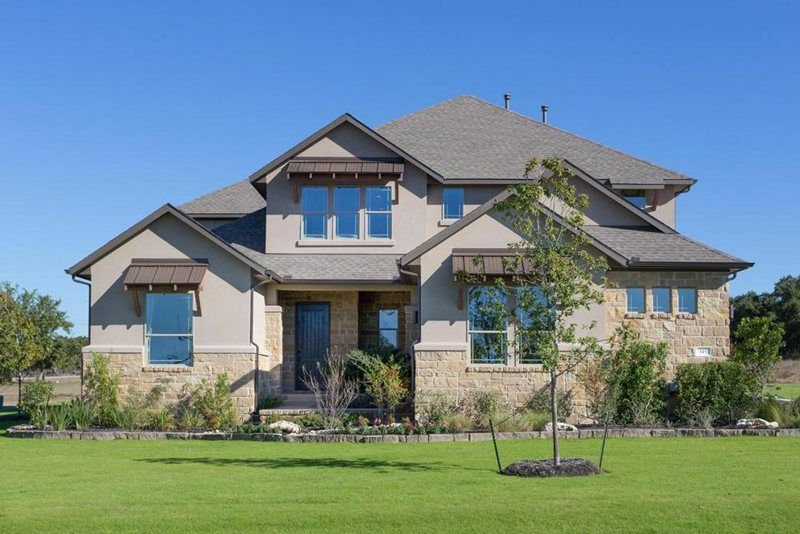 Served by Dripping Springs ISD, Butler Ranch Estates is the perfect haven from the hustle and bustle of city living while still maintaining a close proximity to modern conveniences. Homeowners enjoy the space to retreat to a quiet, peaceful setting. Century Communities hill country style homes have details like window awnings, steeply pitched rooflines, and arched doorways provide beautiful exterior accents. Other desirable features include owner's suites with large walk-in showers, garden tubs, spacious master closets, flowing high-end kitchens, covered patios, and 3 car side-entry garage. Some homes have luxury upgrades like outdoor kitchens. Homesites range from three-quarters to three full acres for additional privacy. Enjoy hill country views and a quiet setting from your back porch.